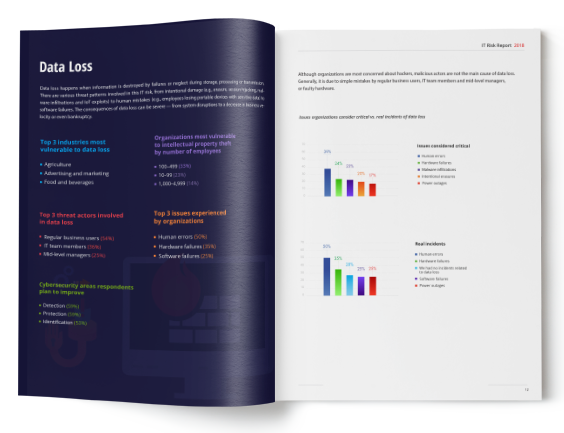 For our third annual IT risks survey, we decided to completely revamp our approach and make an in-depth study of six major IT risks that are significant for most organizations. The research revealed a vivid discrepancy between organizations’ expectations and reality. For most companies insiders, who make mistakes, are more dangerous than hackers. of respondents do not know what their employees are doing with sensitive data. 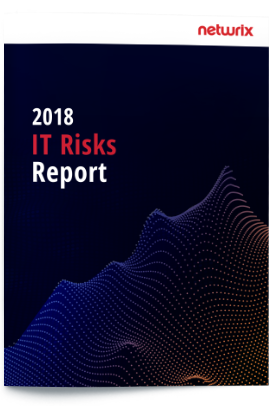 of respondents re-evaluate their IT risks at least once a year. of organizations have an actionable incident response plan.